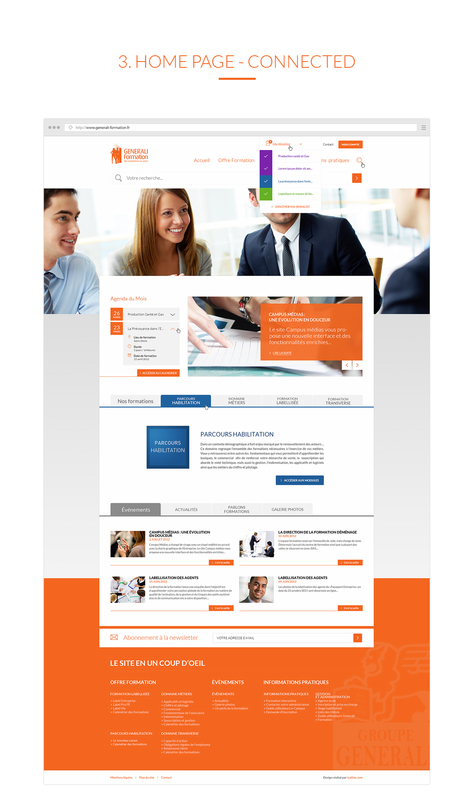 The year 2012 marked the end of paper catalog for the training pole of the Generali Group, which allowed intermediaries to consult training offers of the group until then. 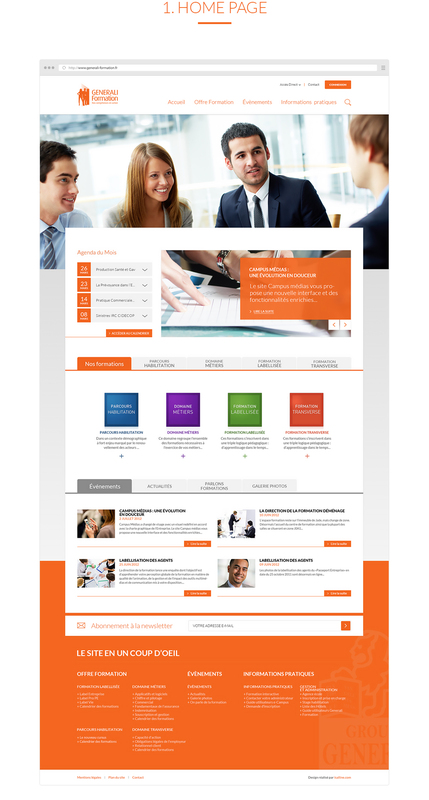 It was therefore decided to replace the Generali Training website through a redesigned digital experience. 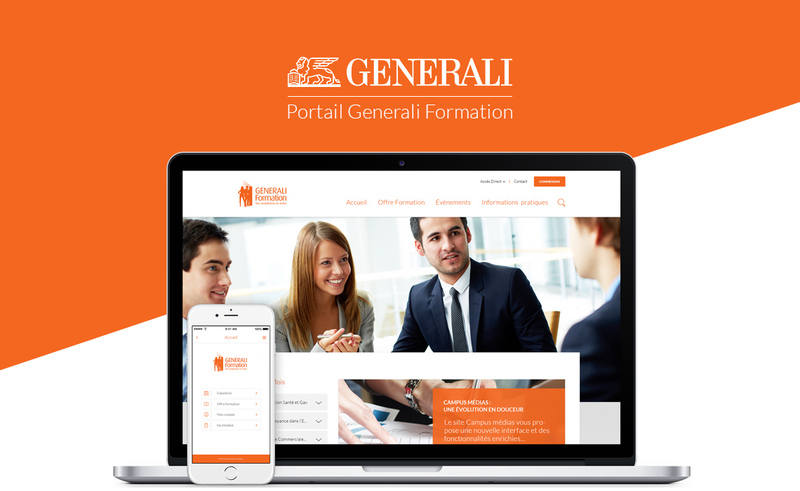 The portal "Generali Formation" aims to be a portal for the Training Offer and a direct access to an enriched learning space for agents and middlemen. 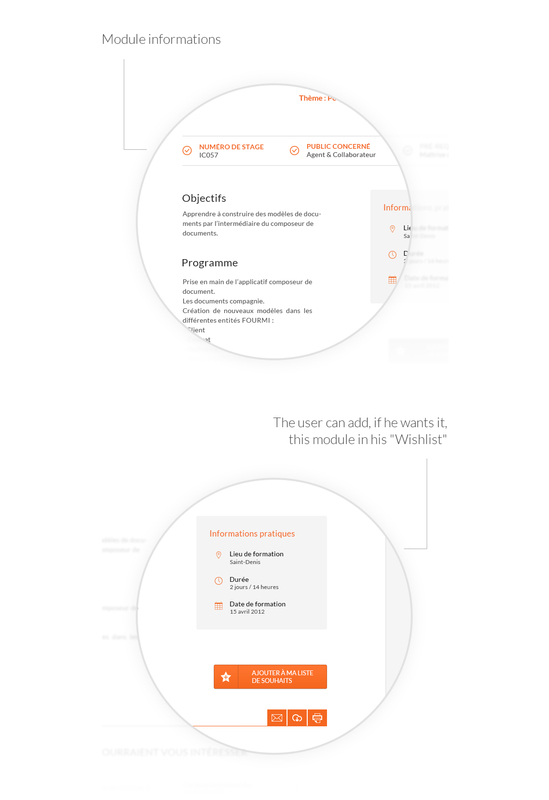 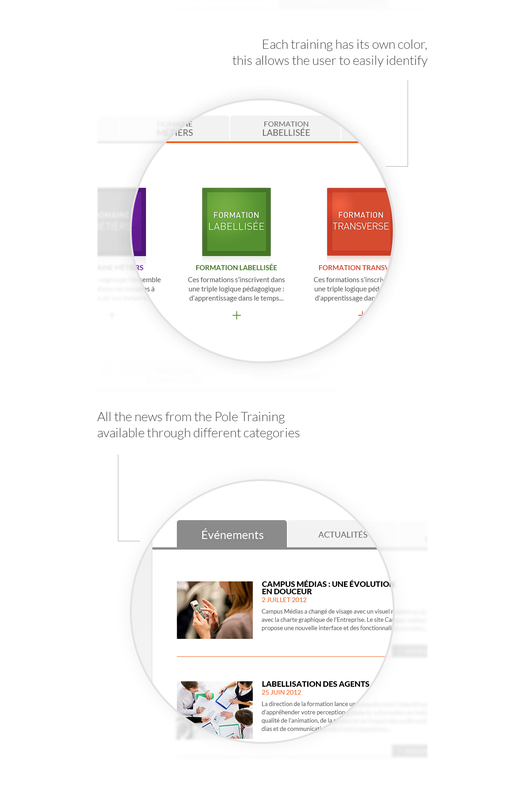 The first objective was to valorize and reinforce accessibility to the training offered through a new ergonomy of the user experience within the offer. 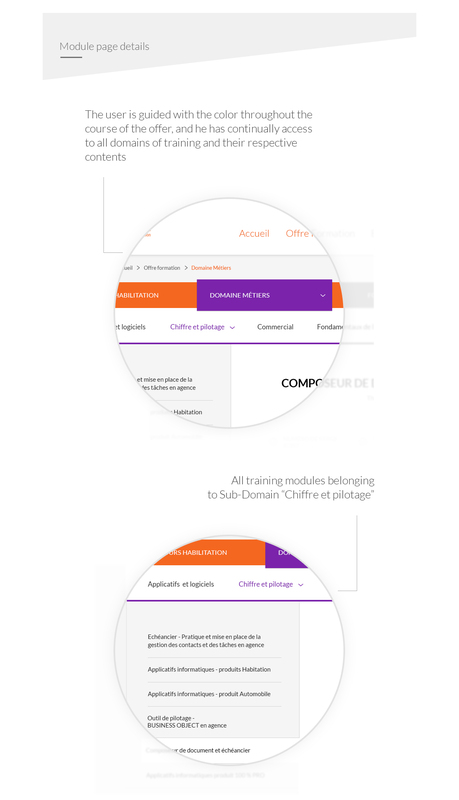 Indeed, the user must be able to find the desired and appropriate training for themselves without knowing the title and without cancelling out serendipity. 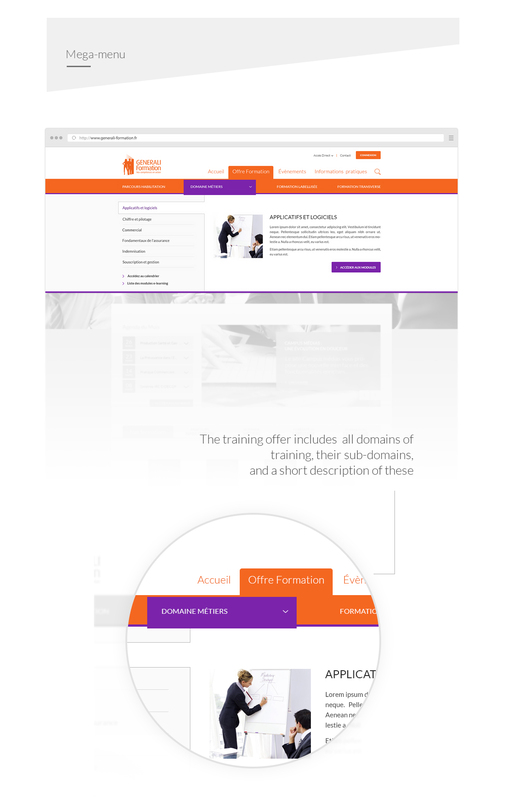 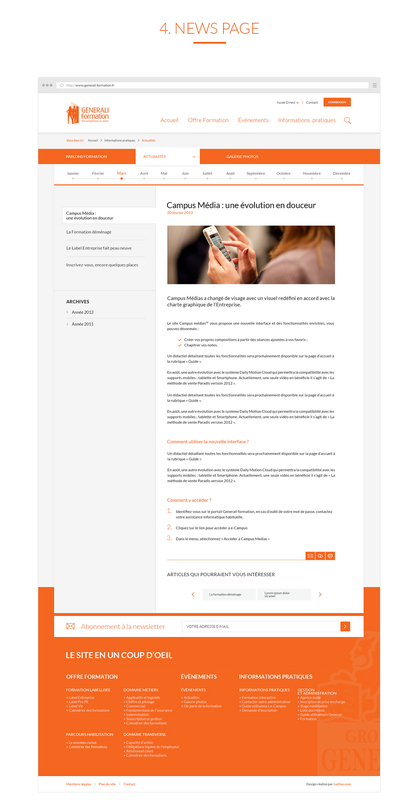 The challenge was to bring the offer up a notch to increase the practicality of the portal. 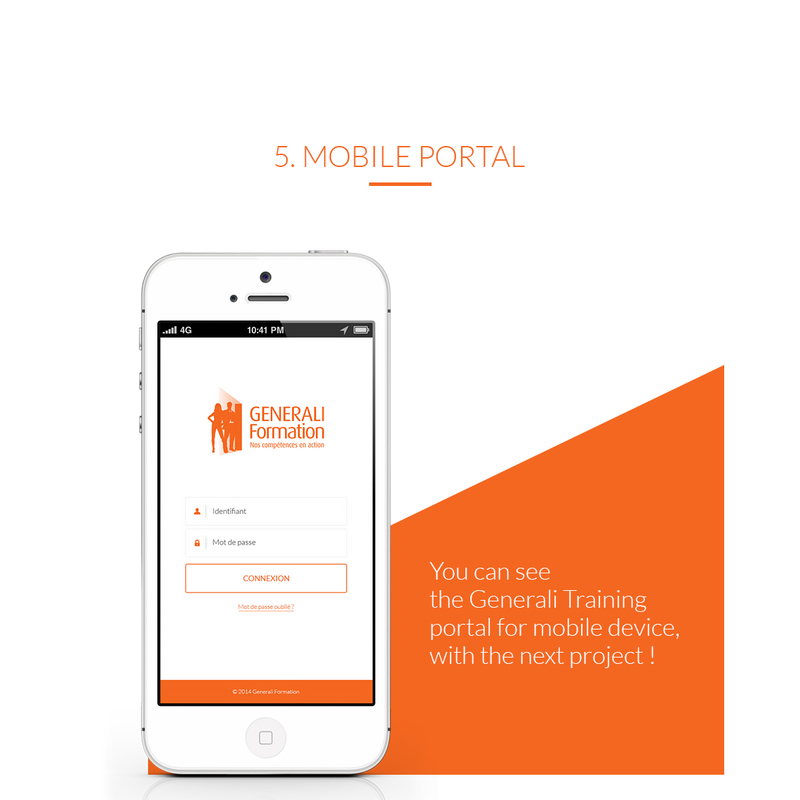 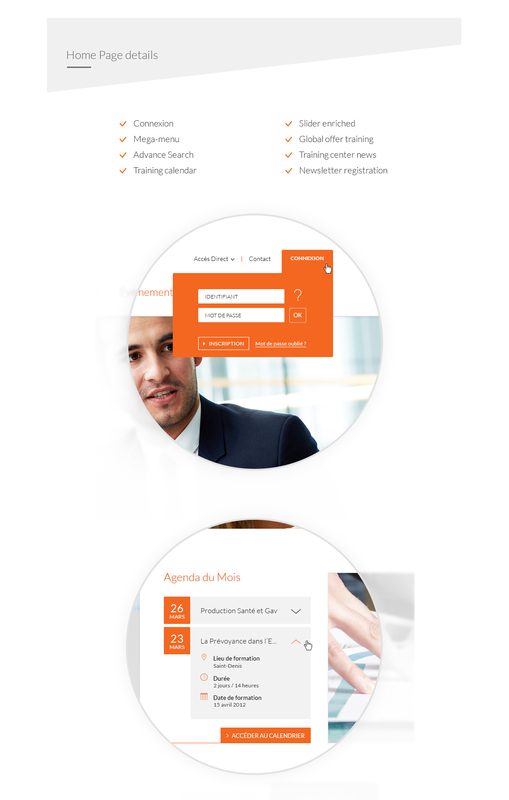 The project presented below is a complete overhaul of the portal that I had done in 2012 with the team of Generali Training.